Starting in January with the International Builders’ Show in Orlando, we laid the groundwork for Trex coverage in spring and summer issues with new products like Trex Pergola and Trex Transcend Porch. Then, in June – the height of outdoor living season – we provided customized tours of the Trex booth to media and reinforced the brand’s eco-friendly qualities and product innovations at PCBC in San Francisco. 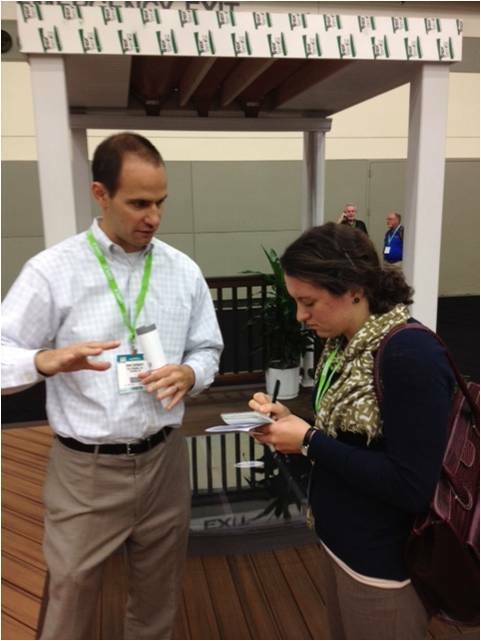 Most recently, we met with representatives from the industry’s most high-profile publications at DeckExpo in Baltimore, one of the largest trade shows devoted exclusively to decking and railing. Our goal was to ensure that Trex remains a hot topic with media even during the cooler months ahead! While email and social media make it easier than ever to connect with priority media, there’s no replacement for face-to-face meetings – especially when they provide opportunities for interaction with products and client representatives!